Our ongoing love affair with trucks, crossovers and SUVs might not be showing any signs of diminishing, but we shouldn't overlook some of the great cars we have at the moment as many of them really are pretty superb, it has to be said. When it comes to cars that look fantastic and are as good as they look when you investigate further, the midsize sedan segment is the place to be. Competition in this segment is now incredibly fierce, and it means they just keep getting better. You're spoilt for choice in this segment to be honest, so here we're going to compare the 2017 Ford Fusion vs. 2017 Chevrolet Malibu to see which is best. These two really are among the very best mass market cars you can buy right now, so let's see which comes out on top. If the 2017 Ford Fusion didn't exist, the 2017 Chevrolet Malibu would have to be a very serious contender for being the most attractive midsize sedan you can buy right now. The Malibu has certainly blossomed in recent times and has become increasingly lighter, longer, sleeker and more desirable. It's perhaps not quite as attractive as the latest Impala, but there's still a lot to like. Ever since the second-generation Fusion was launched for the 2013 model year it's been one of the most stylish and head-turning cars in the market. The Fusion has received just enough tweaks and touches this year to keep it out on its own at the top of the class for styling. In fact, the Fusion isn't just the best-looking mass-market midsize sedan it's the best-looking midsize sedan, period. The Malibu looks good, but the Fusion's in a class of its own. There's nothing wrong with the cabin of the Malibu, but it's not an interior that will make your heart beat a little faster either. It's smart, clean and functional in terms of its design, but there are some slightly odd themes with the various trims, which see fabric-wrapped panels on lower trims, a metallic-look on others, and a synthetic type of leather on the dash and console trim on high-specification models. There have been quite a number of changes to the Fusion's interior this year, but they're mostly functional and they all work very well. The overall look and feel of the cabin is smoother, less-angular and more premium than the Focus and Fiesta it owed quite a lot to before. When it comes to the higher trims, the Ford really does start to feel like a genuine luxury model. It's not as futuristic and jaw-dropping as the exterior could be said to be, but it's unlikely that's what buyers really want inside a car like this anyway. The gap in class and quality between the Fusion's interior and the Malibu's is probably bigger than it is with the exterior, so round two also goes to the Ford. 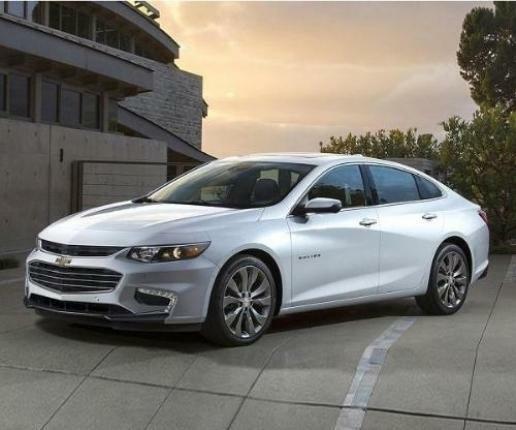 Things don't get better for the 2017 Chevy Malibu when it comes to the important area of propulsion systems either, with the Ford Fusion offering more choice and more power. 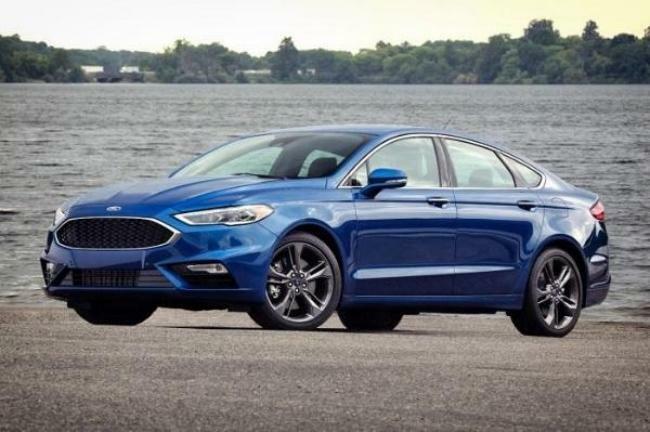 The standard engine in the Ford is a 2.5-liter inline-four that develops 175 horsepower and 175 lb.-ft. of torque, while the Malibu only offers 163 horsepower from its standard 1.5-liter four-cylinder turbo. There is a 2.0-liter four-cylinder turbo for the Malibu, but it means going for the top Premier trim and it still doesn't produce as much torque as the 2.0-liter EcoBoost that's optional in the Fusion SE and standard in Titanium and Platinum trims. It gets even worse for the Malibu though as the Fusion offers something you just can’t have in the Chevy, and that's a V-6. Although it's not an available upgrade for other trims, it still means you can have the fabulous Fusion with a wonderful 2.7-liter EcoBoost V-6 that puts 325 horsepower and 382 lb.-ft. of torque at your disposal in the Fusion V-6 Sport. If you like to have plenty of choice, you're once again going to lean towards the Fusion right from the off. The Malibu is offered in four trims of L, LS, LT and Premier, and there's also a hybrid option. The Fusion comes in five regular gas-powered trims of S, SE, Titanium, Platinum and V-6 Sport, but there are then also four different hybrid trims and three plug-in hybrids too. Both the 2017 Ford Fusion and the 2017 Chevrolet Malibu are front-wheel drive as standard, but there's then one very big elephant in the room that needs addressing that could be a make or break for many buyers. In what could be seen as a pretty big oversight by the Chevy, there's no front-wheel drive capability offered for the Malibu at all. The base Fusion S is front-drive only, but the SE, Titanium and Platinum models are available with all-wheel drive and it's a standard feature of the excellent V-6 Sport. There are other areas not covered here that could be important to some buyers, but it's pretty much the same story. The 2017 Ford Fusion is considerably better than the 2017 Chevrolet Malibu in just about every way, and things just get better for the Ford the closer you look. There's even more head and leg room in the front and rear seats of the Fusion, so you're really going to have to scratch around to find anything where the Malibu comes out on top.